We find a version of the sacred tree in nearly every ancient tradition around the world. Looking farther back at some of the earliest examples on cuneiform tablets we find it under a symbol for God in the winged disk. Making this a cherished image by the first Magi on Earth. Now using the internet to pool all the worlds resources back together some incredible breakthroughs have been made in demystifying for initiates one of the most important multi use occult symbols. Sumerian kings list in cuneiform maybe evidence for one of the oldest civilizations on record going back over 100,000 years. With kings that lived extremely long lifespans and reigns beyond our comprehension. Freemason Albert Pike may have been correct in his conclusion that this Sacred Tree symbol was already a very old and well established tradition as far back as these records go. 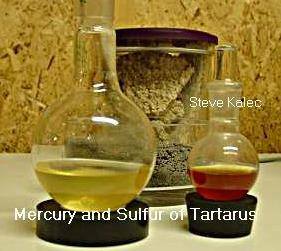 With the example Seen Above it consists of three main elements. First is the winged disk or Magi UFO at the top. We have covered together that the God in the winged disk is known to modern day Zoroastrians as Ahura Mazda. He is also called Ashur by the early Assyrians. He was called God by Ezekiel and remains secret meaning to Freemasonry even today. Communication methods to reach this winged disk have included Magi Mirrors, Shamanic drinks and even dream fasting. We must not forget the dual meaning of it also being the symbol for the return of Anunnaki’s home world the recently rediscovered Planet X. Lastly it could even by symbol for a connection point to the ancient Universal internet of light some call the Akashic records. 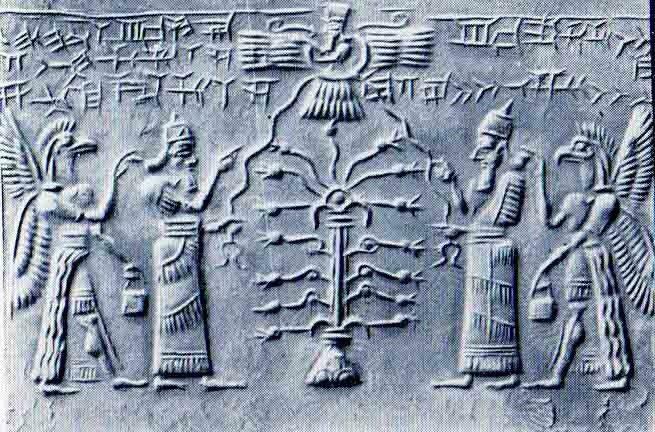 Second almost looking mirrored on either side of the sacred tree we find the winged bird men called the Anunnaki. These should be considered the mascots of the Magi when exploring there traditions. It could be these anthropomorphic creatures are living in the other realm or dimension that is connected to our Earth plain of existence. Communication with this style entity is still common today for those shamans using Ayahawasca in South America. We can see more of this with the ancient Zoroastrian traditions like story of Arda Viraf. They say he was also using the shamanic methods to encounter these Anunnaki bird men. In Ancient times Libation was part of ancient Egyptian ritual where a shamanic drink offering was thrown into the air to honor and please the various divinities, sacred ancestors. Explaining one of the reasons Magi from all around the globe carried the holy bag of water. This same Libation table design has been traced not only in Egypt but to other places used by the early Phoneician Magi. They were found in Bulgaria near ancient ruins of Perperikon and Canada on Mount Cheminis. Third feature is the Sacred Tree itself and early designs show it almost had a Christmas Tree theme with thin branches and a winged being at the top. Just like was followed by the three wise men to find Jesus. 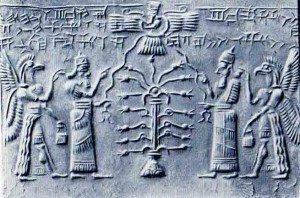 Maybe the earliest representation of the Tree of life in form of sphere that you See Right is from Assyrian text. Next when you open the first book given to Adam called Sepher Rezial Hemlach or The Book of the Angel Rezial you can see this pattern inside. More evidence that supports the idea that this is the same tree spoken of in the Garden of Eden that contains the forbidden knowledge. From the Codex Regius (Latin: Cōdex Rēgius ) or The Royal Book we get the Poetic Edda and the Norse Yggdrasil version of the Tree. Some of the Flat Earth movement folks even point to images of Yggdrasil and it’s levels as proof of many flat plains on the branches of the sacred tree. This tree is symbol for the knowing the power of the zodiac and the very underlying code that programs nature’s complex designs. This tree to some even mirrors how DNA itself looks and operates. This sacred tree also symbolized the human spine and its connection to the great source of the winged disk. On those lines a part of the source or winged disk exists in the center of each of our own skulls marked by the 3rd eye on the forehead. This could be the spot that the nature of our reality is being projected for us to perceive. Each individual has there own screen just like a modern LAN party for computer gamers. With that modern style network it gives players there own display to view the game but uses the internet to combine each version of the game into a multiplayer environment. 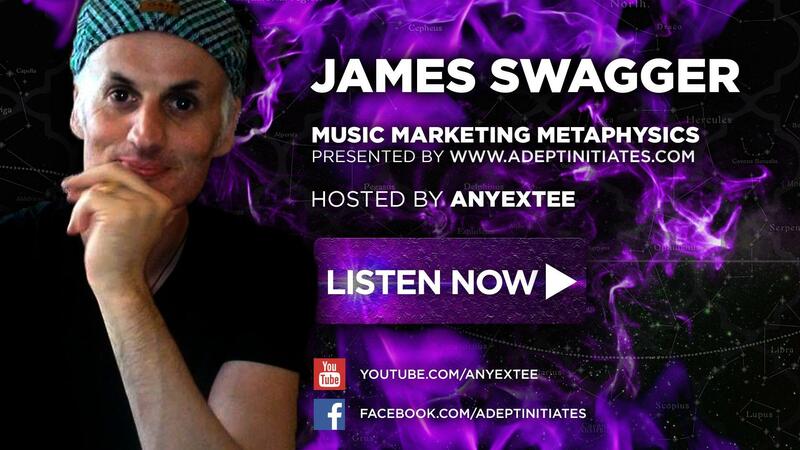 So to does the 3rd eye project our simulated environment for each player or avatar but it connects us to a Universal Internet of Light enabling the merger into a spiritual web environment. It could be this sacred tree technology from ancient times offers modern man a chance to reconnect and alter the very coding we see portrayed as ribbons coming down from the disk. The ribbon if front and going forward is to connect to the knowledge of creation. Ribbon located on the back is a symbol of the knowledge of destruction and things that should be left behind. In the beginning much of the secret meanings of the sacred tree has been held exclusively to the royal family’s. Because this knowledge of using the tree to gain ultimate power could be used for either good or evil it was closely protected. That way there would be less risk of it potentially falling into the wrong hands.But as monarchy’s were overthrown much of their ancient secrets died with them and the true meanings were lost except for a few secret societies that found clues to their secrets. Eventually leading to what they had wanted to prevent. Maybe the best example of the ancient tree we have left is from the royal family of Japan. Their family still claims to be descended directly from the Ancient’s gods. This scroll from a museum Seen Left is a depiction of the Asian version of the Sacred Tree of Life. Some may think at first glance that it is just a mere resemblance but just flipping the top handle in your mind you see they are really starting to take shape. 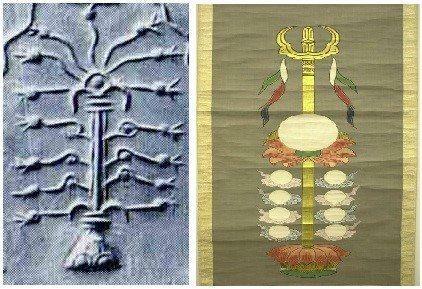 If you look at the spheres on the side it’s almost a perfect match for the ancient tablet tree design seen next to it. What makes this tree better then any other is it offers proof that this is not only a metaphorical symbol . Because it is made of three real objects the sacred treasures of the Japanese Imperial Line called the Regalia. At its base is a sacred jewel called the jewel Yasakani no Magatama that acts like a cornerstone to anchor the power of the sacred tree. It is associated with the virtue of benevolence. For the trunk of this tree is the legendary sword Kusanagi and associated with the virtue of valor. At the top the Winged disk portion is made up of the mirror Yata no Kagami just like we find with the other Magi mirror traditions. 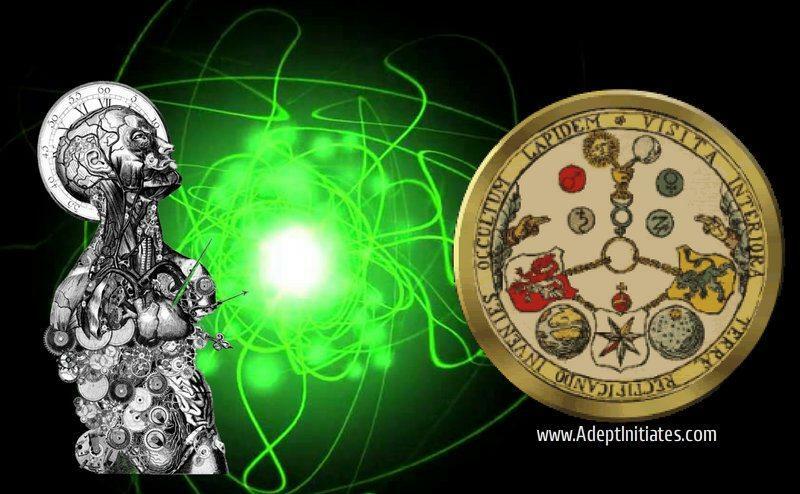 It is associated with wisdom because it offers a way for communication with the other realm and connecting the universal internet of light. 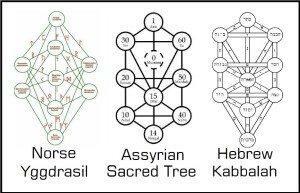 In conclusion the Adept Initiates can see here that the sacred tree may have began with many different Ancient Magi nations. Each of them able to communicate with the same Anunnaki that live in the other realms of our multi-dimensional universe. What then was a solid practice is now looking like another ritual void of its deepest understanding over time. But maybe this Sacred Tree ritual still holds enough clues in each cultures version that working together we will trasmutate them back into the full truth once again.